E is for Explore! : Walk Through Paper?! 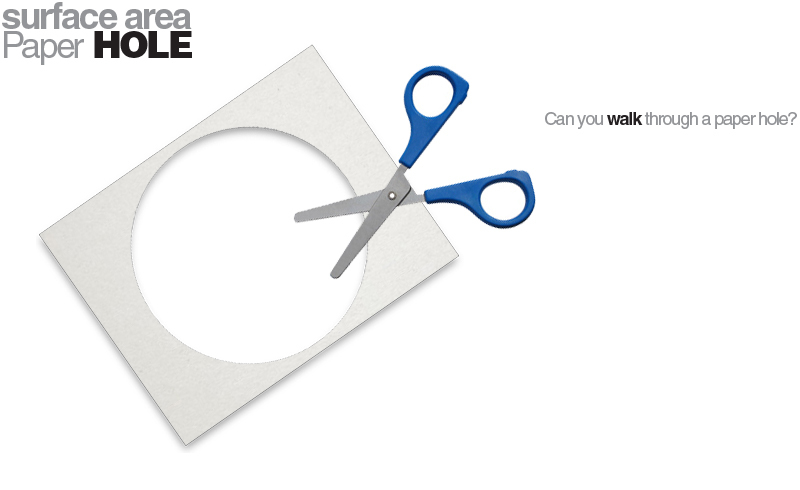 Can you walk through a hole in an 8.5x11" sheet of paper? Pass out a sheet of paper to all of your students and see if they can figure out how to cut a hole large enough for them to fit through. Then, show them this magical trick! Visit Pleacher or The Math Lab for the how to (and a free printable with lines to cut the "perfect" hole)! Afterwards, stretch your paper out and try to find the area and perimeter of your paper! How did it change? For younger students, this project can tie into a basic measuring unit. You can even fit through an index card! Click here for details!